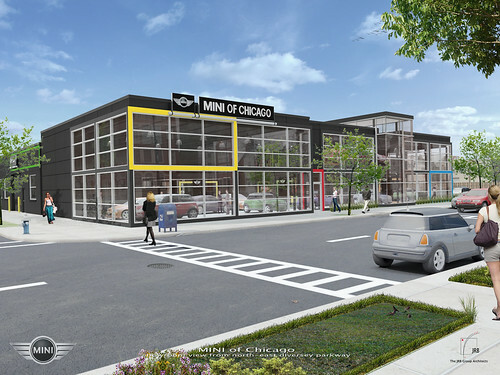 MINI of Chicago has recently opened it’s doors for business, and they have invited the Chicago MINI Motoring Club to stop on by for a special event including a behind the scenes tour and some eats..
WHAT: A chance to hang out, visit with MINI friends, Check out a new dealership, and have some eats. IMPORTANT: Please RSVP for this event by adding a comment to this post and tell us how many are attending, so we can plan for food and space. my fiance and i will be there! We’ll stop by on our way to Lollapalooza. I may stop by. It will nice to see the gang. Lillian and I will be there! Thanks for arranging this. I have it on my calendar. Will try to be there. I’ll be stopping by for a bit. Not a member (yet) but would like to come on by of that’s ok! Please do come by!! Always great to have new people join in. I’ll be stopping by also! Yes, I would love to see you all! I will be there solo. Yes, hope to stop by! So excited to have dealer in the city!!!! Can I bring my dog? I’ll be on my way to an errand with him but would like to stop by – he’s gentle, and blind. Not sure, but I’ll check and let you know.. Yes, gentle blind dogs are OK.. See you there!! I am bumming! I’ll be out of town and cannot go. Would life to be there but have to work. Deadline might of already come and gone, check with Bill Cantrall, details in the link. Not a member, but Brian & Andy sent me link, so I hope to attend. 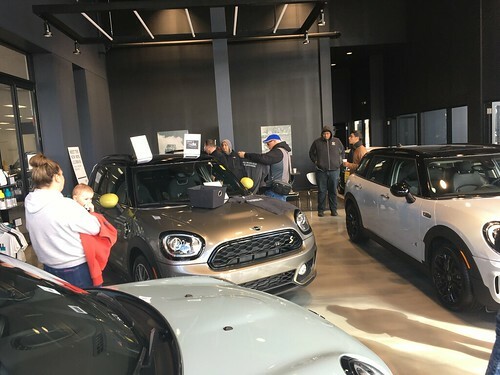 Minis In Northern Illinois (M.I.N.I.) members are welcome!! Hey all…anyone from the suburbs want to caravan down into the city? I live in Palatine and would gladly meet up with anyone who wants to travel with me. one please. I live down the street. I would like to attend with my family, if that is ok. That would be FOUR…myself, my husband Lee and my two kids if kids are ok. Eric is 14 and Allie 12. We love the city and this gives us a reason to come in from Naperville! I for sure will be there, Jenny might be along as well. Everyone is welcome the more the better. Steve I’ll be there and renew my membership. Looks like I might be late… how long do you think it will run? I am looking forward to this. I’ll bring one guest. Great, Romi and I will be there! Will try to be there today, by noon.